The first three Die Hard movies are featured in Die Hard Trilogy for PlayStation 1 and PC. You play as John McClane in three adventures in three different cities. The explosive (pun intended) action is what made the Die Hard movies iconic. In "Die Hard Trilogy," you will be involved in a handful of intense situations in trying to be the ultimate hero. This blog post takes a look at Die Hard Trilogy and the adventures you will be taking part in. Die Hard Trilogy is a game that features gun violence, blood, and some mild language. It is rated "M" for Mature by the Electronic Software Rating Board (ESRB). So you're bad, huh? Let's see how bad you really are with these three games. ^ from: (YouTube) - Die Hard Trilogy features games based on all three of the first movies of the iconic Die Hard series. Meet John McClane of the New York Police Department (NYPD). He seems to be a person who always seems to find trouble. I rarely discuss movies because I simply just have not seen too many movies. However, I have seen "Die Hard" and "Die Harder"- both excellent movies. I seen most of "Die Hard With a Vengeance." 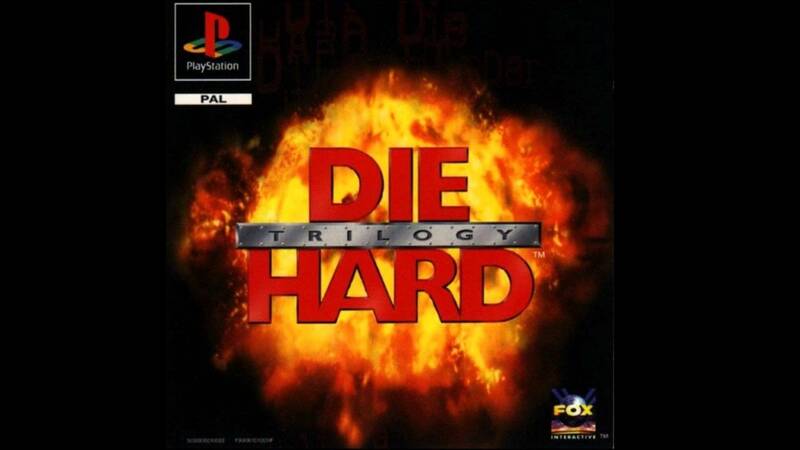 "Die Hard Trilogy" was released in 1996 for PlayStation 1 and PC. It features three games with three different disciplines- action, shooting, and driving. Each game feels different while also providing incredible action in all three. Now is time to take a look at what each game provides. NOTE: Some material in this post may be featured in other blog posts. Die Hard Trilogy: Die Hard (Action). Die Hard features plenty of action. This game is based on the 1988 movie, "Die Hard." You play as John McClane of the New York Police Department. You are sent in to rescue innocents held hostage by terrorists in Nakatomi Tower in Los Angeles. These terrorists are not only armed, but they have also rigged the tower with bombs. For John McClane to succeed, he must defeat the terrorists, save the hostages, and diffuse the bombs. A lot of work for sure. But still- John McClane is the one-man army capable of saving the day. To win in this game, you need to defeat all of the terrorists on each floor. If you find hostages, rescue them while also making sure they don't get executed. It is recommended that you follow the hostages you saved so that they can safely escape. If they are executed (or if you accidentally kill them), you don't get credit for rescuing the hostages. Collect items like soda cans and First Aid kits to recover energy. Finding body armor also gives you an extra edge. You can also pick up other weapons for that offensive edge. Rather than your basic pistol, weapons like machine guns and shotguns with explosive shells can be found. When in a pinch, throw some grenades or something. Once you defeat all of the terrorists on one floor, a bomb will be triggered. You have 30 seconds to find the elevator shaft where the bomb is. If you reach the bomb, the level is complete. If you fail to reach the bomb, it will explode, and the game will be over. Defeat as many terrorists as you can while limiting innocent casualties for the best scores. Die Hard Trilogy: Die Harder (Shooting). Based on the 1990 movie, "Die Harder," John McClane is in Washington, District of Columbia to battle terrorists whom have taken hostages at Dulles Airport. Die Harder is a shooting game. You can play this game with either a controller or a light gun. In the demo of Die Hard Trilogy, you play Die Harder. Your job isn't complete until you take out all of the terrorists while also minimizing innocent casualties. You'll have your hands full in this game. But you can handle it, right? You have a limited number of lives to try to defeat the terrorists. When you defeat all or most of the terrorists, the level ends. The crosshairs point towards enemies in the area or items that can be collected. You have a few grenades and rockets you can use in case you are desperate taking out the terrorists. You can collect items to recover health or even gain some extra protection. You can even gain extra weapons for extra firepower. There are also certain areas where you can access bonus sections for more items and points. One last thing to remember about ANY light gun game- DON'T FORGET TO RELOAD! To make the highest scores, try to defeat as many terrorists as possible while making sure not to kill innocents. Die Hard Trilogy: Die Hard With a Vengeance (Driving). This game involves driving. You return to New York City in this game based on the 1995 movie, "Die Hard With a Vengeance." You can play this game with a controller or with a steering wheel. There are bombs scattered around New York City in this game. Items you couldn't think could have bombs may be ready to blow. Obviously with this description, you know what your job is- destroy all of the bombs in the various parts of New York City. To do so, you will be driving around town making sure to find and destroy all the bombs. When all of the bombs have been destroyed in each area, you clear the level. Can you save New York City from being blown up? Your goal in each level is to destroy all of the bombs in the area. You have only a certain amount of time to find bombs scattered across the level. You also have only a few lives to successfully clear each area of their bombs. It is very important you pay attention to the compass to try to find each bomb. Bombs are indicated by red arrows, and new cars are indicated by blue arrows. Your driving partner will even tell you to turn left or turn right to reach the bomb quicker. You must find each bomb in time before they detonate. Stationary objects aren't just rigged with bombs. Often times, vehicles can have bombs rigged to them that you must destroy. You must continually damage Bomb Cars to defeat them. Ramming into Bomb Cars will help to destroy them. Not to spoil anything, but you could be trying to destroy two bomb cars at once! Thankfully, you can find time bonuses that grant you extra time to find each bomb. So you don't like that boring car you're driving? You can find faster and more powerful machines to drive to help give you an added edge. How would you like a police car? A sports car? A dump truck? By the way, the compass shows new cars with blue arrows. If you need a little boost in your life, be sure to use a Turbo for an extra burst of speed. Sometimes, you may find an item where EMS will help you find a route to a bomb. Follow that machine to reach that bomb. Do whatever it takes to destroy all of the bombs. When all of the bombs have been defeated in the area, find the Exit to end the level. If you fail to defeat a bomb in time or if you drown in water, you will lose a life. When all lives are exhausted, the game is over. For the best scores, try to destroy all of the bombs while also avoiding running over too many civilians. All three games play very well. While none of them are graphical beauties, they do provide great action in each title. No one game is boring to play. They may be a bit frustrating at times, but never totally impossible. I played Die Hard Trilogy a long time ago and only beaten "Die Hard." You are going to be plenty busy and plenty engaged in each game. Even if you never seen any of the Die Hard movies or if you aren't a Die Hard fan, these three games in one are great. Please be sure to support me and my work any way you can. I hope you have found my blog(s) and their posts to be of interest. Please be sure to Subscribe and Follow my blog(s) if you enjoy my work. Support me any way you can. Don't just come here and leave- if you love my work, support and share my work. Anything to stay relevant and respected makes me proud. Thank you for reading! Take care and be well.